This page shows the latest Clinigen news and features for those working in and with pharma, biotech and healthcare. This prompted Eisai to suspend distribution of Fycompa in Germany, with the exception of an access programme managed by Clinigen for individual patients, until a favourable resolution can be reached. 7. Romina Oxborough PhD MBA is a director at Clinigen Consulting Romina.oxborough@clinigengroup.com. 7. Romina Oxborough PhD MBA is a director at Clinigen Consulting; r omina.oxborough@clinigengroup.com. Tom Watson is head of US business development, Idis Managed Access, part of the Clinigen Group. Joint venture. 170. Link Healthcare. Clinigen Group. Regional speciality business in Australia, Asia and Africa. 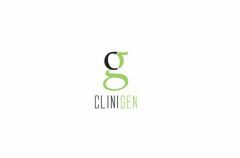 is Commercial Operations Director for the Clinigen Group. The Author. Debra Ainge is Head of Project Management at Clinigen GAP. ... 44 (0) 1283 495 010. Address:. Clinigen. Pitcairn House. Crown Square, First Avenue.